The adoptable running pack for the last two weeks: Xena, Athena, Trinket, Allie, Jack and Zeus. A great group to wrap up July. Photos speak louder than words so enough talking. Here are the dogs! 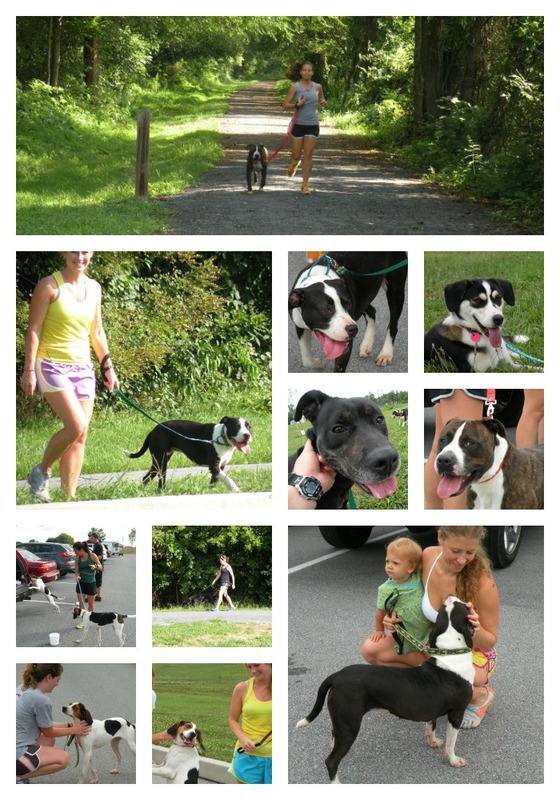 Doesn’t running with an adoptable dog from Better Days Animal League look like a good time? Join us! Awesome! Especially the first picture! Aww what a great group of dogs!